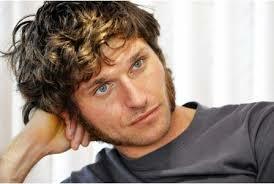 I’m slightly obsessed with this man. 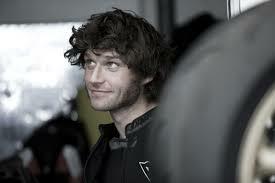 He’s a motorcycle road racer, particularly associated with the TT Race which happen on the Isle of Man every year. 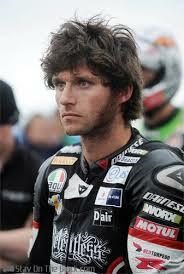 It’s probably the most male thing that happens in this country and he even has the perfect name for it: Guy Martin. Which is like being called Bloke Blokesname. When Bloke’s not going at preposterous speeds on a motorbike, he’s tinkering with engines in his professional capacity as a truck engineer. The man has engine oil running through his veins. And a lot of it under his fingernails. 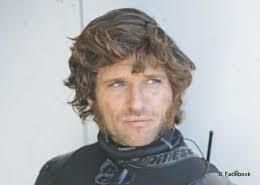 I’ve noticed his picture before, but he really took my fancy when I saw a trailer last night for his new TV show, Speed, which involves him going at ridiculous an hour on a variety of unstable vehicles. Look at his face! The bones, the eyes, the wistful expressions, the stupid whiskers… I’m fascinated. And just to complete the picture he has a brilliant northern accent (he’s from Lincolnshire), the kind which can make the word ‘pint’ last a very long time. Let’s go for a piiiiiint. The first thing I did this morning was Google him and I found this video which made me roar with laughter. Every male in my family is a massive petrol head and I grew up with my dad and brothers literally building cars in the garage. My brother Nick used to take motorbikes to bits in his bedroom. So this clip made me think fondly of all them. These noises are like Mozart to them. If you want to see Guy in action, here’s the link to trailers about his new TV show. Here are some good pictures of Guy with his trucks..